City A.M. launched in September 2005 and operating as an independent media company is the leading London City financial outlet and on a daily basis delivers a high quality strong editorial business, financial and trading content. The newspaper’s is a major presence in the London, UK and International Financial life and shares a pro-active philosophy broadly supportive of the do it yourself and free-market economy, defending capitalism, private enterprise and of the City of London and those who work in it. With a strong editorial management conducted by Allister Heath, Editor of City A.M., this paper and digital media outlet has been offering corporate, financial and economic stories news and thought leadership, as well as political and regulatory stories relevant to its readership, with a strong of engagement and active life in the financial and markets news and topics. With Allister Heath leadership and strong opinion voice City A.M. has grown to an audited print circulation of 100,000 copies per day, and has become an influential voice in London’s and international business community. The paper regularly runs interviews of business leaders and key events on various related business and trading events. It offers a special focus on investment, trading and wealth management trends and main personalities and thought leaders. Following up on the success of their first annual Active Trader event, City A.M., in partnership with IG and FXCM, have delivered another exciting line-up of industry analysts and market experts for its 2013 Active Trader Conference taking place in London next month. The City AM Active Trader event is the biggest and first of its kind, bringing together experts and industry leaders from the world of Finance and Trading with special focus on FX and CFD’s to share their best kept secrets, educational events and trading and market trends. The event, set for 21st of June at The Grange Tower Bridge Hotel, has attracted some of the biggest names in trading, investing and forex. The conference includes a day filled with presentations, debates and exhibitions, offering opportunities to network with the professionals and “rock stars” of the trading world. 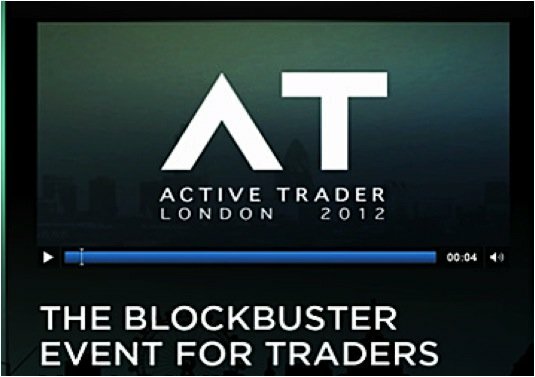 The A-list of speakers of Active Traders events include personalities such as the former Dragon Richard Farleigh, and influential investor and trader and TV personality Lex Van Dam, a top financial and trader educator, who are the headline speakers and will manage the main keynote events. The later is a hedge fund manager and trading guru. They will be joined by industry specialists such as David Jones, chief market strategist at IG Index, David Kuo, director at online investing community The Motley Fool and Allister Heath, editor of City AM. Some of the highlights of the programme. Masterclass in Technical Analysis in the upstairs room with iG’s Brenda Kelly, EasyForex’s Zoe Fiddes, FXCM’s Alejandro Zambrano, London Capital Group’s Simon Brown, and OANDA’s Paul Hayward on the panel. Bank of America Merrill Lynch European Investment Strategist John Bilton will be speaking about trends in European equities downstairs. Joining Active Trader’s 2013 line-up of speakers include as well a Masterclass on Social Media Trading with Tradable’s Jannick Malling, Etoro’s, the world’s largest social investment network, CEO and Founder Yoni Assai, and IG’s David Jones and Dinis Guarda, CEO of forexthink.com and intelligenthq.com. The City A.M. 2013 Active Trader Conference exhibitors include IG, FXCM, ActivTrades, City Index, easy-forex®, FOREX.com, Learn To Trade, OANDA Corporation and Societe Generale. The Active Trader Twitter Hashtag will be #AT2013. Heather Turner is a writer based in London who has worked in the fields of print and broadcast journalism, PR and film. Turner moved to London in 2009 from the rural Ozark Mountain region of Missouri to pursue a B.A. in Mass Communications and to gain more hands-on experience in film and marketing. She currently writes about trends in digital media and maintains a blog in her spare time on subjects including politics and media criticism.